Jean-Luc Godard is a cinematic iconoclast. His sixties spectacles shattered the popular notion that film was for fictional fairy tales – rather, they pioneered a realistic take on individuality and the matters of everyday life. His outlook was simple: “the cinema is truth twenty-four times per second.” So how did this truth manifest itself? Against a French backdrop, mostly. 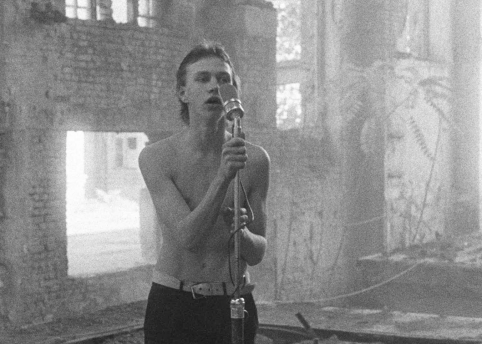 Paris streets loaded with innovative directing techniques – from a jump cut, to a shot-reverse-shot, to an “auteur” style takeover – carving the age of new wave cinema. 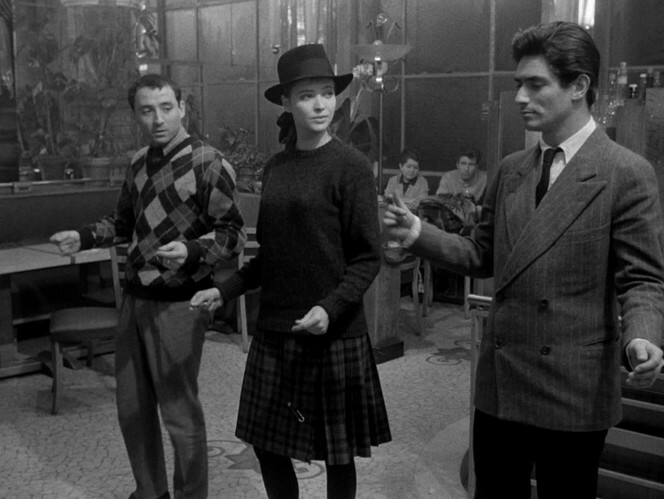 It held a depth that had yet to be captured through moving pictures, and with it, Godard’s cinematic guys and girls became the leading figures in both film and fashion. In celebration of the French-Swiss director’s 88th birthday, we’ve spotlighted Godard’s standout protagonists – with a few tips on how to embrace life through their eyes. 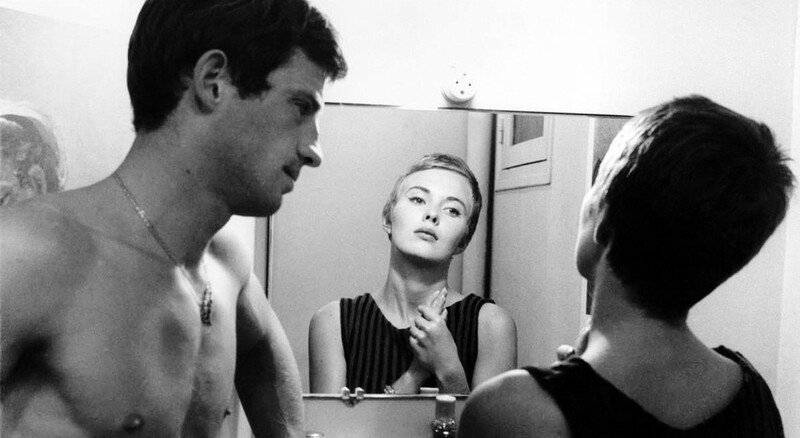 The male lead of Breathless, Michel Poiccard is charming and narcissistic alike – yet that’s what makes for such a standout character in Godard’s debut film. 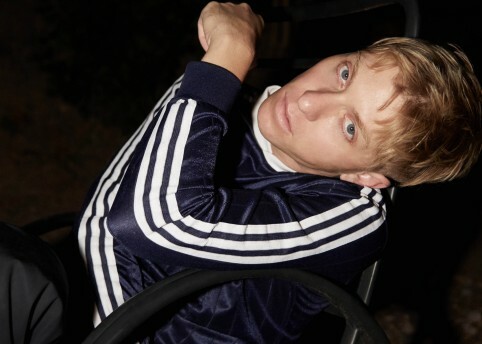 An insouciant killer, Michel is a theatrical man, to say the least – driving stolen cars, playing with his expressions in a mirror, and generally laughing through pretty serious situations in life. All the while dangling a cigarette between his lips and styling boxy suits and fedoras taken straight from Humphrey Bogart’s – Poiccard’s hero – sartorial guidebook. Criminal meets cool? Pretty much. Godard’s creation of the gangster guise was in full force here. 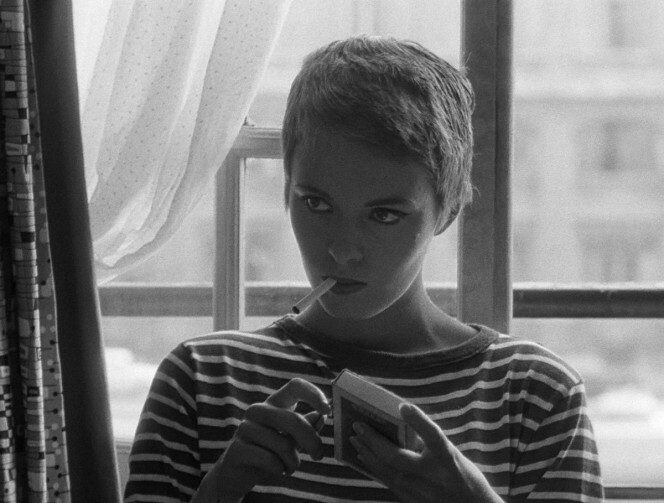 With a pixie haircut destined to breathe fresh air into femininity, Patricia Franchini is the hip, literate counterpart of Breathless protagonist Michel. And to clarify, she is far from playing second fiddle. 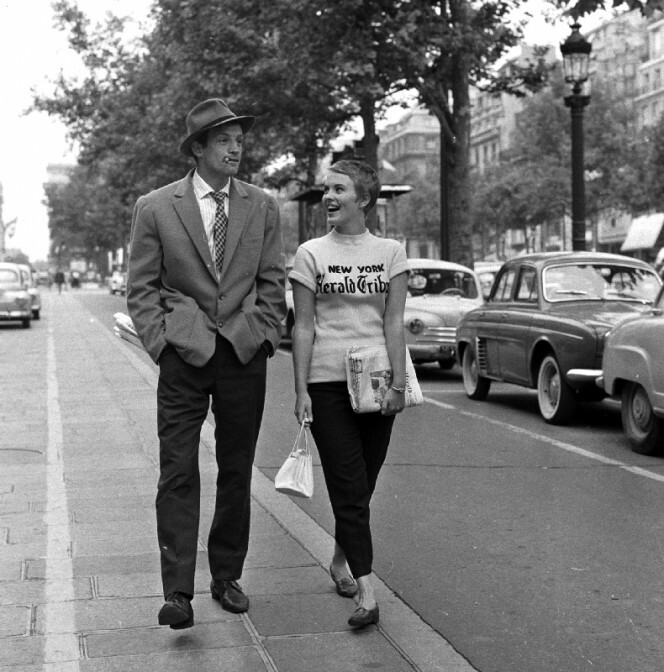 Jean Seberg’s portrayal of the American journalist enrolling at the Sorbonne pioneered a contemporary heroine in cinema, leading the way in the intellectual French-girl-meets-American-woman aesthetic. But it’s a pretty exclusive club, for her silhouette is like no other. How to attempt an emulation? Buy a tribune t-shirt and striped summer dress. Oh – and keep your conversations to literature and existential life advice. 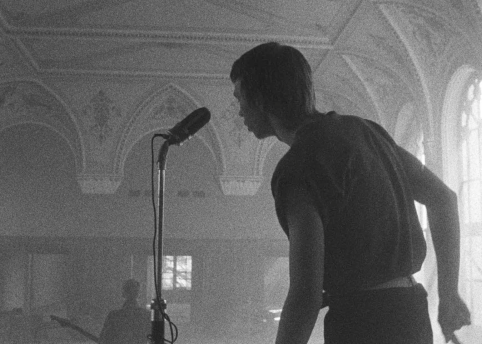 It’s hard to categorise just one protagonist from Godard’s 1964 feature Band à part, for as the title translates, the leading trio are a pretty tight-knit group. Whether it’s parading through the Louvre (in record time), dancing the Madison in cafes, or stealing cars, this trio are the perfect youth protagonists who blend badass with baby doll. And their prominence is iconic – Italian director Bernardo Bertolucci aptly referred to their mischiefs in his 2003 drama, The Dreamers. Wanna be part of their gang? Dress the part: stick to the educated essentials – knitwear, bespoke jackets and plaid prints. 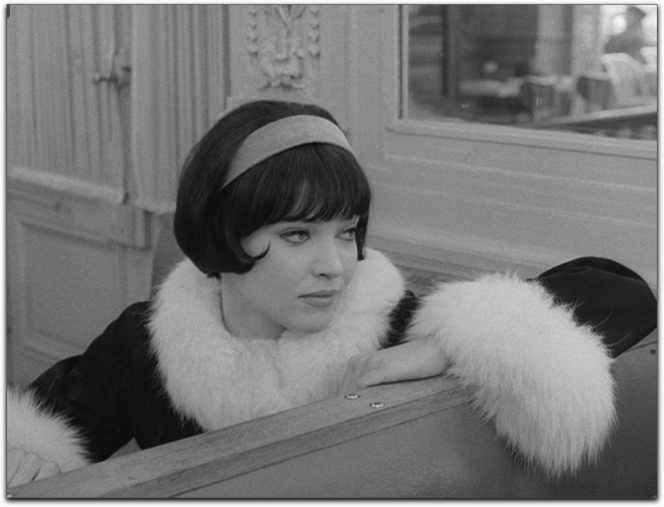 Dance your way through life like Nana, aka: Anna Karina. A constant muse for Godard (the two were married in 1961), the French belle blossomed through Godard’s oeuvre, embracing her heroine roles with force and flair. And she more than lived up to the title of Vivre Sa Vie through Nana, the Parisian prostitute who demonstrates a playful and poetic portrayal of liberated womanhood. For the full look, don yourself in black, velvet, and finishes of fur (faux preferred). Perfect timing for this one, too – Christmas is just around the corner. Quite the opposite of Godard’s acclaimed French-realist cinema, Alphaville took a technological turn towards the dawn of dystopia. And Lemmy Caution – leading protagonist and detective – gets straight to the point through his speech and style. He masters the masculinity required for this sci-fi film through a staple secret agent look: trench-coat, tie and top-hat. 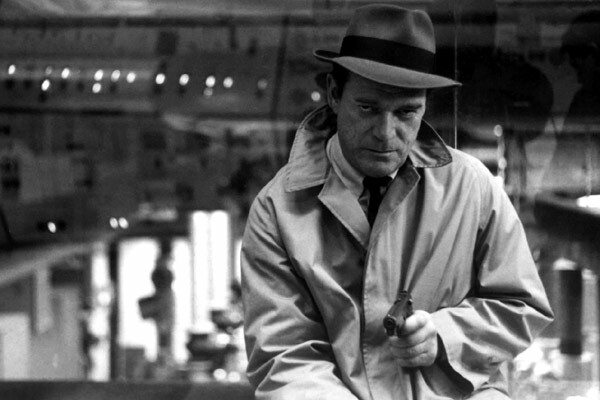 Presented through striking film noir form, this is Godard’s protagonist with evident power. How to add some charm? Rock up in a Ford Mustang – no, wait – a Ford Galaxie. This is the future, after all, and Lemmy’s leading the way. Ah, the protagonistic pleasures of leading an unorthodox lifestyle! 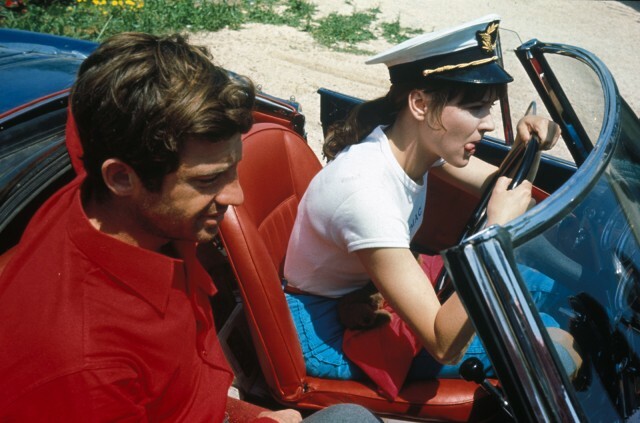 Enter Pierrot and Marianne of Pierrot Le Fou – a couple car crash waiting to happen. But their duality was legendary, together they fronted a comic-like movie of lovebirds on the run, their quirky relationship blending well with scenarios of total madness. Whilst we advise against a life of criminality, this tres chic, Parisian version of Bonnie and Clyde deserves a clothing commendation. Cord shirts, white tees and straight-cut jeans – you can’t go wrong. 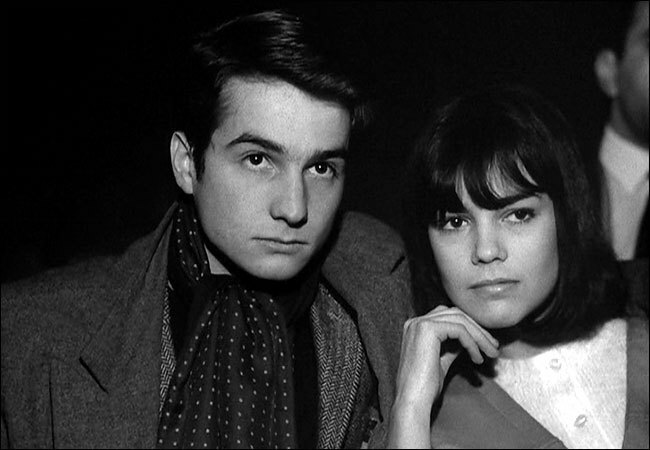 A latter masterpiece in Godard’s canon of 60s cinema, Masculin, Feminin is a portrait of lost youths. 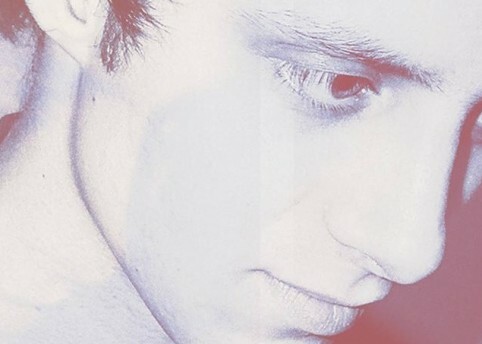 Jean-Pierre Léaud’s character Paul stands at the forefront of the plot, dictating witty comments on the philosophy of the world whilst firmly tangled up in Paris’s sexual politics. 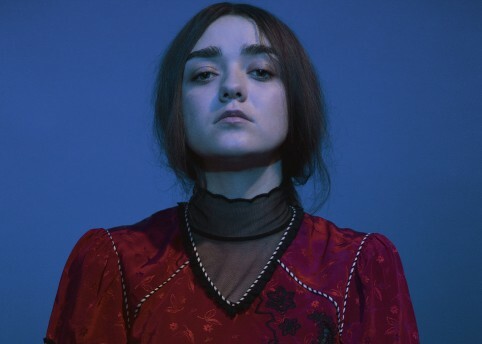 Idealistic and adrift in what he calls “the age of James Bond and Vietnam”, Paul finds purpose in Madeleine (Chantal Goya), a burgeoning pop singer who he immediately falls for. Self-image plays a good part in showing Paul’s cultural opinions; for a young lad, he’s pretty poised – sporting suits, polka-scarves and cigarettes. Well informed fashion? Certainly. Hats off to you, Godard.